Where have all the pumpkins gone? So while Irene left many of us very lucky without significant damage to deal with, she has left those of us obsessed with fall with a huge problem. THERE ARE NO PUMPKINS. As I started thinking about seasonal decorating I panicked. How much Indian Corn can you use? You need pumpkins. Specifically American pumpkins. 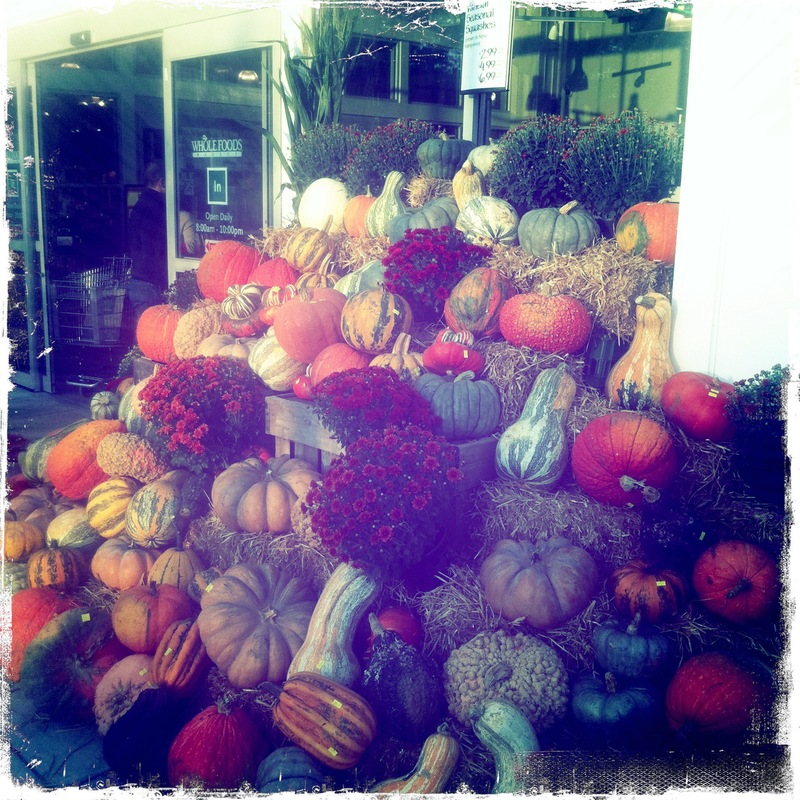 Or preferably locally grown pumpkins. How can one put pumpkins from Chile out on the stoop for Halloween? That’s just not right. Now Irene isn’t completely to blame, apparently there was an outbreak of a fungus called phytophthora in the mid-west this summer combined with unusually high levels of rain. Many news sources are referring to it as the “Great Pumpkin Shortage 2011.” So why didn’t we hear of this impending doom sooner? Why did it take till thousands of pumpkins flowed down stream into Lake Champlain during the hurricane did we get a warning of the impending doom for fall? We now appear to have a surplus of other various kinds of squashes/gourds that I had never spent that much time looking at before. Now the questions are as follows 1. Are they carve-able? 2. Can you put candles in them on your stoop? and 3. Do they have seeds you can roast? My friend Cathy suggested painting them as an activity besides carving if their shape doesnt lend itself well to carving. However by themselves they are very beautiful in different shapes and colors. The perfect pairing with mums.